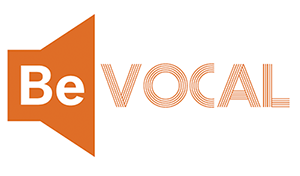 BeVocal, the Bystander Intervention Initiative of the University of Texas at Austin, is a university-wide initiative to promote the idea that individual Longhorns have the power to prevent high-risk behavior and harm. BeVocal envisions a community that engages and invests in everyone’s safety and well-being. BeVocal enhances bystanders’ confidence and motivation to intervene to prevent and reduce harm. BeVocal addresses multiple issues that impact our campus community. BeVocal’s three action steps can be applied to a wide range of concerns from offensive comments and jokes, to imminent harms, to supporting someone during or after an incident. BeVocal aims to shift the culture of campus to one in which all community members recognize potential harm, overcome barriers and find motivation to choose to respond, and finally taking a situation-appropriate form of action. BeVocal builds on the existing expertise and knowledge of campus centers and departments at UT Austin and seeks to unify these with consistent messaging and content. We seek to shift the culture of campus with the promotion of intervention as a norm of our community, beginning at orientation through graduation. Our hope is that the reinforcement of bystander intervention by over many campus partners will increase the chances of a UT student, faculty or staff intervening to prevent harm as well as create a culture that cares for each other's safety and well-being. The BeVocal team sampled 5,000 UT students via email with a survey in March, 2014 to establish a baseline of UT student’s attitudes and behaviors around bystander intervention. A new sample of 7,000 students was contacted in April, 2015 with the same survey questions a year after the launch of BeVocal. The Baseline survey reached 787 students (16% of students surveyed) and the Year 1 survey reached 949 students (14% of students surveyed). Students completed measures related to moral disengagement, empathy, sense of community, awareness of BeVocal, barriers to intervention, collective responsibility, self-efficacy for intervening in topic specific situations, intentions and past behaviors related to intervening, and student’s perceptions of topic-specific problems on campus. Of the 787 students surveyed at the baseline: 85.4% identified as heterosexual and 10.5% as LGBTQA (see index for full sexuality breakdown), 53% identified as male, 44.7% as female, and 2.6% either self-identified their gender or preferred not to answer. This group was racially diverse; 41.1% were White, 23.5% were Asian American, Hispanic were 23.9%, and 10.1% were Black. Of the 949 students surveyed in Year 1: 83.2% identified as heterosexual, 50.7% identified as male, 46.5% as female, and 2.9% either self-identified their gender or preferred not to answer. This group was racially diverse; 39.4% were White, 27.4% were Asian American, 20.1% were Hispanic, 12.2% were Black, and .4% were American Indian. The 2015-2016 school year was the first full year of the BeVocal initiative and the first time campaign activity was formally tracked. Over the course of the year, BeVocal proudly partnered with 31 different offices, programs, and departments across campus. These partners helped the initiative disseminate nearly 35,000 pieces of campaign materials such as postcards, posters, t-shirts, sunglasses, and other promotional materials. Over the course of the year, 84 activities including workshops, presentations, and performances infused key BeVocal content into their programs with an estimated attendance of 29,854 students, staff, and faculty. From Baseline to year 1 students reported an increased frequency of witnessing concerning situations including: Interpersonal Violence (IPV) (17%), homophobia (7%) sexism (11%), and suicide (8%). Students also indicated an increase in intervention behavior around issues of IPV (14%), homophobia (5.4%), sexism (10.7%), suicide (8%), and drinking (5%). These statistics may be the result of an increase in such incidents, but could also be a sign that BeVocal’s efforts to raise awareness of these situations and to intervene are succeeding. Supporting this conclusion are the facts that 15% of students in the Year 1 sample attended an event with BeVocal content and that these students were significantly more likely to have intervened in at least one of these situations than were those students who reported no contact with BeVocal messaging. Change in percentage of students who had the opportunity to intervene and did so by subject from Baseline to Year 1. 15% of surveyed students reported having attended a program with BeVocal content. Students reported having intervened at least once at a much greater rate from Baseline (55%) to Year 1 (63%). In the Year 1 survey, 1 in 4 UT students reported having intervened in a situation involving homophobia or transphobia since arriving at UT, which is an increase from 1 in 5 from the baseline survey. In Year 1, 72% of students intervened when witnessing a situation involving homophobia or transphobia. In Year 1, 23% of all UT Students surveyed had intervened with a friend who was having thoughts of suicide. In Year 1, 84% of Students who reported having suspected a friend was considering suicide intervened in some way. (Most students act IF they notice someone in suicidal distress). From Baseline to Year 1, more students identified high-risk drinking as a problem at UT-Austin than any other issue (75%). 91% of UT students feel it's important to play a role in keeping everyone safe, which is a statistically significant increase from Baseline (88%). From Baseline to Year 1 students were not statistically more likely to intervene with a friend who was considering suicide, this is concerning as it seems a small proportion of students (about 1 in 10) are reluctant to intervene. Understanding their reasons for not intervening may offer some clue as to how BeVocal can encourage these students to act as allies to prevent suicide. These results are very encouraging. In just one year since the launch, BeVocal seems to have contributed to the increased number of students who are recognizing potential harm and choosing to intervene. Students seem to be able to intervene around suicide and ableism when they noticed a potential harm, but did not intervene when noticing academic dishonesty or hazing (and to a lesser extent dangerous drinking). Supporting students with tools to intervene in these cases may be beneficial. Conversely, increasing students’ awareness of the signs of suicide, Interpersonal Violence, ableism, racism, and sexism may contribute to better outcomes moving forward. Additional surveying of this population will help determine if these changes are due to chance or a real shift in the culture of intervention at UT.